Who doesn’t love mac and cheese? My kids are always asking for it and it is one of those things that I don’t like to give them on a regular basis just because it is not very nutritious. I have found a way to make all of us happy. The base of this cheese sauce is cauliflower. It comes out super creamy and cheesy tasting. I feel a lot better about the kids eating this version of mac and cheese and the kids are happy because I let me have it a lot more. Preheat the oven to 375. Steam the cauliflower until it is very soft. Cook the pasta according to the package directions, make sure not to let it go too long or it will be mushy after it is baked. When the cauliflower is soft add it to a blender with all the remaining ingredients (except breadcrumbs) and blend until it is smooth. You will probably have to do this in batches. Lightly butter a large baking dish. Put in the pasta and then pour the cheese sauce over the top and mix it with the pasta. 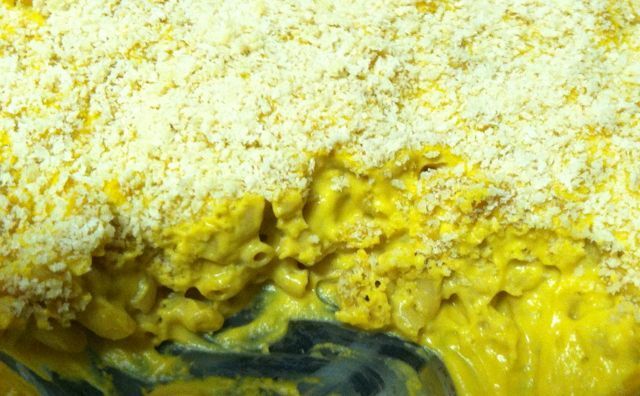 Top with the bread crumbs and then bake the mac and cheese for 20-25 minutes, until it is bubbly and the top is lightly browned. Remove form the oven and let cool for at least 5 minutes before serving. This past week has been so hot that I haven’t wanted to cook, which is very unusual for me. A few night ago I was planning to make black beans and rice, but it was over 100 degrees outside and we had spent a full day kayaking on the lake. So, all the ingredients I was planning on using went into a salad instead. It was so light and fresh tasting, just perfect for summer. The best part was that I didn’t have to turn on the stove. 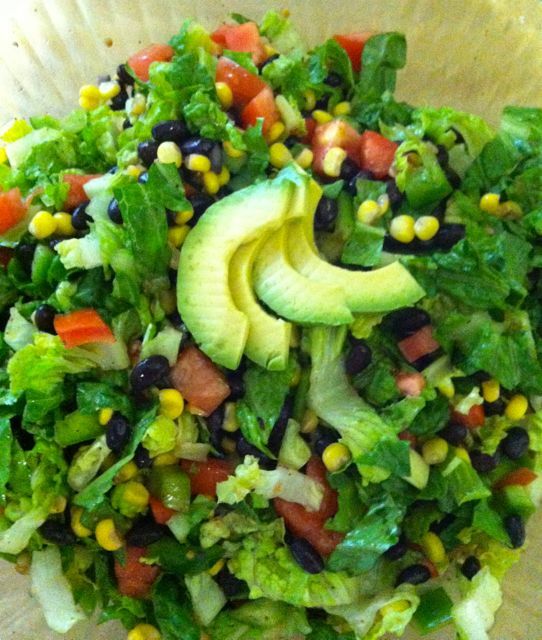 Combine all of the salad ingredients in a large bowl. You may want to leave out the avocado if you think there will be leftover salad because it will turn brown fairly quickly. I just put some on top of each serving of salad. Combine all the ingredients in a small bowl and whisk until thoroughly combined. Pour the dressing over the salad and toss. This is my daughter’s recipe. SHe loves to cook and she came up with this all on her own. She has also started her own blog, so here is the link if you want the recipe for the wontons. 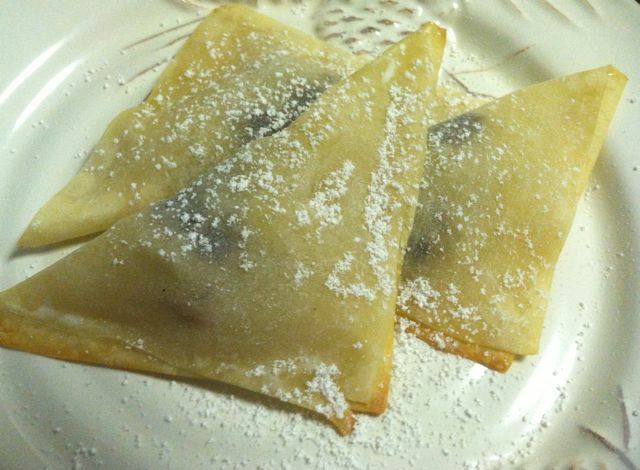 They are crispy, sweet and delicious, plus they are super easy to make.